We deal in trading of finely Crushed Stones used for Construction purpose. - Available in Baby Jelly SIZE: 6-9 mm , 12 mm , 16-20 mm, 25 mm , 40mm And also as per customer requirements. Keeping in mind diverse applications and requirements of the clients, we are offering an extensive assortment of Gabbro Stone. The Gabbro Stone we offer is available in various sizes. These products are tested under strict quality checks before being introduced in the market. 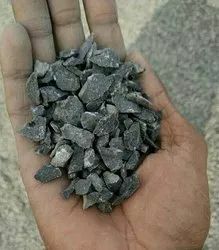 We, Bhardwaj Minerals are Offering Aggregates for buyers. Oceanmax Maritime LLP is incorporated under the LLP Act by Ministry of Corporate Affairs and is licensed to operate from Chennai, India Established on March 2013. We are specilised in vessel chartering and trading of Aggregates from Gulf countries, We can able to provide Aggregates on FOB or CIF basis. we are leading manufacturers of road metal of size from 16mm to 300 mm. We have 20000mt production capacity.